Ruth Kennedy is a barrister at 2 Temple Gardens. Ruth’s practice focuses on commercial litigation with particular interest in commercial fraud, insurance, professional negligence, employment, sport and travel. She also has significant experience in public law, at both a domestic and international level. 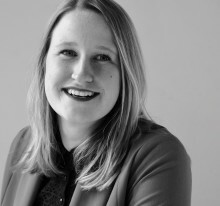 Prior to joining chambers, Ruth was a Research Assistant to Professor Philippe Sands QC working on Public Intentional Law, ICSID Arbitrations and Court of Arbitration for Sport cases. She also previously worked as a Research Associate at UCL’s Judicial Institute and a Teaching Fellow in Public Law at UCL. For the legal year 2016/2017 Ruth was Judicial Assistant to Sir Terence Etherton, Master of the Rolls. Her experience during this time included Miller and others v Secretary of State for Exiting the European Union (“the Article 50 litigation”)  EWHC 2768 (Admin) and the first appeal from the Financial List Banco Santander Totta SA v Companhia de Carris de Ferro de Lisboa SA and others  EWCA 1267.